Photo credit: National Geographic Travel. A feast of Italian and European artwork can be appreciated at Milan's Museo Poldi Pezzoli. Known for its rich display of Northern Italian and European art, Museo Poldi Pezzoli originally started out life as a private collection of Gian Giacomo Poldi Pezzoli and his mother, Rosa Trivulzio back in the 19th century. After Pezzoli passed away in 1879, he left both the house and art collection to the Brera Academy, and it formally became a museum open to the public two years later. While the building was damaged during the Second World War, the art pieces had been stored to be placed again in the refurbished museum in 1951. The Museo Poldi Pezzoli is home to many Italian artworks and other European pieces from the likes of Cranach, James Baker Pyne and Jan Van der Meer II (the museum has a particular slant towards artists from the Netherlands and the Flemish region. Besides paintings, you can take a peek at various pieces of glasswork, ceramics and jewels. Busto Arsizio's rich tapestry of the textiles industry is celebrated in the local Textiles Museum. The museum is a great place to witness the collection of objects from the local textiles industry. It opened in early 1997, spanning three floors and two towers. So what can you find in each department? The ground floor kicks off with the weaving section, which contains a 19th century domestic hand loom, a key item from 1813's old wood framing industry. Elsewhere on the first floor, there is a spinning and preparation department including spinning machines and a period carding system. The next floor up charts the history of Jacquard manufacturing, looking at the history of the machines and computers for this embroidery process. It's also a level that offers visitors interaction as they can touch the various stages of cotton preparation and look at product packaging and delivery from the mid 19th and early 20th centuries. On the second floor are areas devoted to dyeing and printing (including a glimpse of the original method of dyeing with vegetable colours); embroidery and Schirpa (the traditional dowry of brides in the Alto Milanese area using local fabrics); and the mechanical textile industry. Meanwhile, in the towers are areas dedicated to the Paracchi Archives (which boast a selection of views of Busto Arsizio and late 19th century studio material) and the shoe making industry containing items over time from the history of Borri footwear. 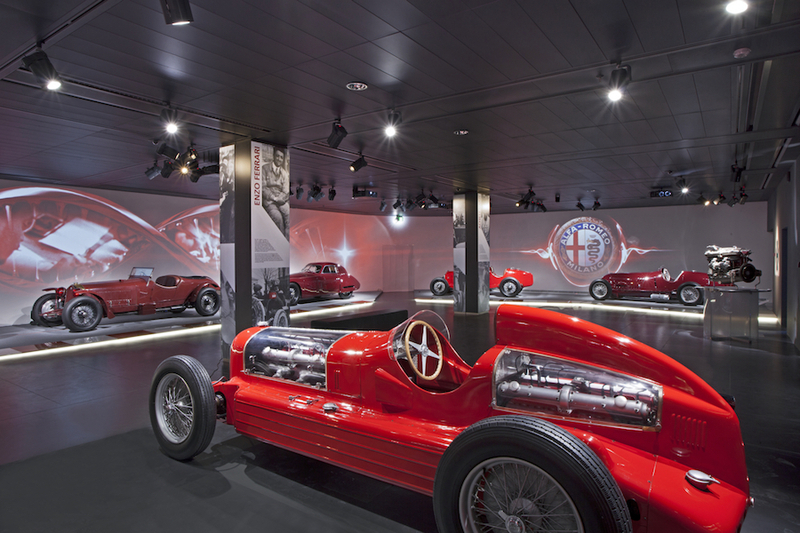 Rev up and get yourself to the Alfa Romeo Museum. If you're a car connoisseur, then the recently renovated museum will be well worth your time. The museum hosts six floors of the history and legacy of this well-known brand. In addition, a notable selection of extras can be enjoyed here. One of these is an Alfa Romeo Experience, which uses special multimedia technology to create a 360 degree viewpoint of the Test Track in Balocco on board a 4C. There is also a 4D cinema room that again uses interactive technology to celebrate the wonders of Alfa Romeo through interactive seats and various films. Visitors can also browse and buy any of the books on both motors and Alfa Romeo. Young visitors can also come to the museum to learn about road safety, the history of Alfa Romeo and car designs. There are special tours and workshops put on by the museum staff, making this an ideal introduction to the world of motoring. Travel back in time with Bergamo's museum of natural history. Before the days of iPads, widescreen TVs and good old cars, it was a case of getting back to nature. This excellent museum allows visitors to explore all aspects of natural history. It's divided into separate sections, including one devoted to zoological collections that gathers together an impressive array of worldwide specimens in addition to the local fauna. This section is home to an impressive display of arthropods, spanning over a million artefacts such as insects and arachnids. In the Earth Sciences, you can witness a number of exhibits (again, both local and global) including useful minerals and collections of ornamental stones. Meanwhile, in the palaeontological department, there are more than 55,000 artefacts to be seen – including the Palaeontology Bergamasca collection that contains fossils from the Orobico territory. The other main collection (aptly titled Palaeontology not Bergamasca) features various casts and exhibits from across the globe – these have been acquired via donations and purchases, both collections forming a comprehensive overview of the fossil world. If you're seeking a break from the runaround of modern life, then this is a good port of call, taking you back in time to a far simpler age. 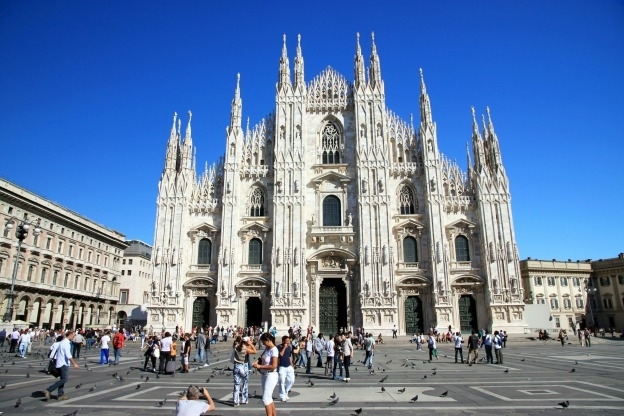 One of the most famous spots both in Lombardy and all of Italy is that of the Duomo of Milan. This iconic monument can be traced all the way back to the latter part of the 14th century, and contains a massive collection of historical artefacts and timeless art pieces that provide a detailed timeline of the Cathedral. Some of the items on display are actually older than the Cathedral, stretching all the way back to between the fifth and ninth centuries (ivory diptyches). The tapestries also make for a memorable aspect of this experience. These include the six works that depict the stories of Moses and a tapestry of the Dance of the Putti. You can also see what remains of three classic tapestries that were sadly destroyed in a 1906 fire – the Jewish Easter, Moses Before the Pharaoh and the Gathering of the Manna. The many paintings here are mostly from between the 15th and 16th centuries and include Michelino da Besozzo's 15th century classic Madonna dell’Idea. Also on display are Giovan Battista Crespi's Miracle of the Parturient and an early work by Tintoretto of the Dispute of Jesus with the Doctors in the Temple. It's a must-visit if you're in Milan – if you like history, then this you've got a treat in store at the Duomo. Sitting in Santa Maria delle Grazie (Holy Mary of Grace) is arguably Leonardo da Vinci's most famous masterpiece, The Last Supper. The depiction of Jesus taking his final supper with the Apostles is located in the Convent's refectory, and is one of many reasons to come and see this awesome building. This church and Dominican convent dates back to the 15th century. The genesis of the building goes back to the days of Duke of Milan, Francesco I Sforza, who gave the order to build a Dominican convent and church at the location of a previous chapel dedicated to the Marian devotion of St Mary of the Graces. By 1469, the convent had been built (architect Guiniforte Solari was responsible for its design) with the church ultimately functioning as the resting place for the Sforza family. If you wish to add another string to your cultural bow, then you won't go wrong with the Cremona Violin Museum. Museo del Violino contains everything that violin fans could ever wish to see – exhibits, photos and memorabilia connected to the famed instrument. But if you're a general fan of classical music, then you won't be disappointed by what's on offer. From the genesis of the violin (a section looking at the original component parts of the violin and key moments in its creation) to the violinmaker's workshop (where you can learn all about the process involved in making the violin thanks to displays and films), this museum has it all. You can also find out all about the key violin making families in Cremona during the classical period, and take a look at a wealth of artefacts connected with the famed Antonio Stradivari, including moulds, tools and drawings – over 700 in total. It's not just violins that you can look at in Cremona. There is also the Museum of Folk Culture, which offers a charming and unique trip back to the future. The Civic Museum of Folk Culture of Cremona was launched in 1978 in the farm "Cambonino Old". The various parts of the farm provide visitors ample scope to explore and look at old style farm exhibits. In the oldest part of the farm, the ancient stable, there are objects for animal breeding – and nearby are three pig pens and hen houses. There is also an ancient stable of the horses which was recently used to exhibit objects of Tinsmithery of Piazzi Ernesto. A new stable meanwhile, contains objects related to horse care and tools used for working in the fields. Toddle along to the laundry room – or bügadéera – and you can see two brick stoves which once saw metal boilers used for boiling water (the black smoke on the ceilings and walls was a souvenir of this process!). The houses are used for other purposes too. For example, the manor house is used for exhibitions and teaching activities, while a cooking school occurs at the steward's house. Where do I even begin with one of the largest collections of museums in Italy? In short, this is one of the key places to visit if you're in the region. Once upon a time, it was built by Francesco Sforza, Duke of Milan in the 15th century. Following restoration around the turn of the 20th century by Luca Beltrami, it became a large-scale repository for many of the city's most iconic museums. One of the finest art galleries in the region is the Sforza Castle Pinacoteca, which boasts in excess of an impressive 230 pieces from the likes of Pisanello, Titian and Coreggio. The rooms have been split into two time periods, with one concentrating on religious paintings from the 15th and 16th centuries (including the Trivulzio Madonna by Andrea Mantegna), with the other moving forward to the period between the 16th and 18th centuries (featuring pieces by the likes of Tiepolo, Canaletto and Tintoretto). If you know what you like about art, then you'll also find much to admire in the Museo d'Arte Antica. It contains a fine collection of sculptures, arms (from the Middle Ages to the 18th century) and frescoes (including Leonardo's Sala dell'Asse which portrays the Sforza era). Interested in Egyptology? Then the Egyptian Museum is for you. Seven wondrous departments look at this revered period of Egyptian history, including sections on the Pharaohs, the ancient writings, deities and cults, and also mummies, sarcophagi and funerary masks. The more musical of visitors will lose themselves in the Museum of Musical Instruments, which collates more than 700 instruments between the 15th and 20th centuries. So many instruments to list – but to narrow it down, there are pianos, organs, bassoons and wood instruments like oboes, horns and flutes. Other notable museums and collections in Sforza Castle are The Applied Arts Collection of Milan (featuring the finest pottery, jewel and art glass relics from times gone by such as the Cup Gonzagna and pieces of top quality maiolica produced in the 17th century in Lodi and Milan) and the Antique Furnishings & Wooden Sculpture Museum of Milan which lines up furniture from the 14th century to the present day. It's noted for the Chamber of Griselda, which is a reconstruction of its original incarnation at the Roccabianca Castle near Parma – complete with 15th century detached frescoes. Re-visit the era of the Renaissance and more at the Bagatti Valsecchi Museum. 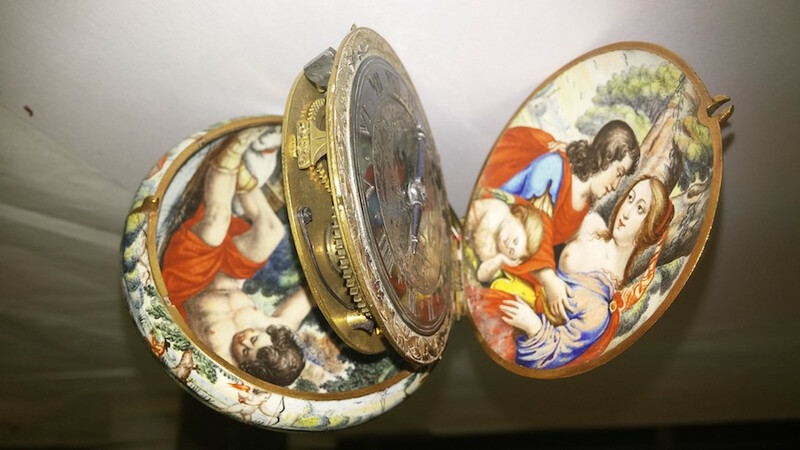 A collection once made by the Barons Bagatti Valsecchi, the museum's collections round up some of the artistic wonders from the era of the Renaissance and other periods between the 14th and 17th centuries. Sculptures, tapestries, glassware and of course, paintings are present and correct. The paintings include S. Giustina de’ Borromeis (Giovanni Bellini), S. Francis, S. John the Baptist (Bernardo Zenale), and Andrea Lilio's Four Allegorical Figures from the 1640s.